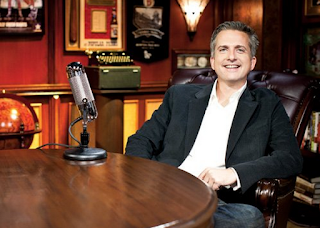 Bill Simmons to leave ESPN: What's next? Bill Simmons and ESPN are parting ways. According to Richard Sandomir of the New York Times, the two sides were unable to come to terms on a new contract after months of negotiations with ESPN president John Skipper saying that the differences were "about more than money." Simmons, who built himself into one of the bigger sports brands in media from his columns to his podcast, the B.S. Report, to the sports and pop culture website Grantland and to the successful ESPN documentary series 30 for 30, will leave when his contract expires in September. So what is next for Simmons, Grantland, and the network at large? I'm a little late with my NFL Draft recap but alas, here is how all 32 teams did with this past weekend's draft action in Chicago. Mike and Ben break down the Mayweather-Pacquiao fight. The money, the insanity, the laughs and more before Saturday night as they also mention the NFL Draft Thursday and the Kentucky Derby Saturday afternoon. The NBA Playoffs first rounds got a little crazier since the last episode and how no Kevin Love could make Cleveland a sitting target. Save 15% off our Fruit Bouquets at 1800flowers.com. Use Promo Code FFTNFRT at checkout. 16 teams entered the 2015 NBA Playoffs with hopes of winning the Larry O'Brien Trophy but now, only eight remain. That is right, we have reached the Conference Semifinals round of the NBA Playoffs. We largely saw chalk in the first round but will we see any big upsets in terms of teams getting to the Conference Finals?